KATCHING MY I: And our Strictly celebrity number 12 is... Chizzy Akudolu! And our Strictly celebrity number 12 is... Chizzy Akudolu! And our celebrity number 12 is... Chizzy Akudolu! 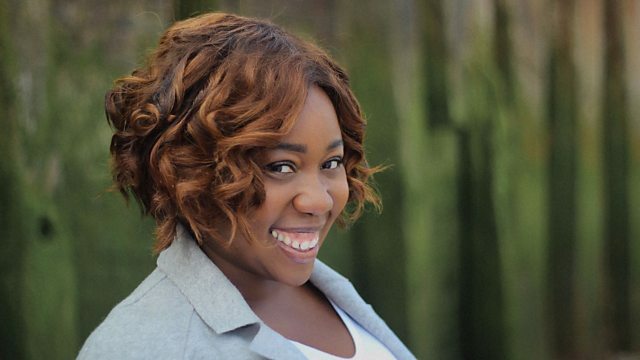 Actress and comedian, Chizzy Akudolu, best-known for playing heart surgeon Mo Effanga, in BBC One’s Holby City is celeb number 12 for Strictly 2017! Chizzy joined Holby back in 2012 and after five years, finally hung up her stethoscope in June. During her time on the show, she won the award for ‘Best Newcomer’ at the Black International Film Festival and Music Video and Screen Awards as well as ‘Best Actress’ in the same year at the BEFFTA Awards. She was also nominated for ‘Best Newcomer’ at the National Television Awards. She has also appeared in The Inbetweeners, EastEnders, Silent Witness, Hollyoaks and Twenty Twelve. Her background is in comedy acting and she is also a writer and producer. Earlier this year, she took part in BBC One’s Let’s Sing and Dance for Comic Relief with a duo from Casualty. The trio performed ‘Uptown Funk’ by Bruno Mars and were runners up. Let’s hope she can go all the way on Strictly! Chizzy joins Charlotte Hawkins, Brian Conley, Susan Calman, Aston Merrygold, Simon Rimmer, Joe McFadden, Reverend Richard Coles, Gemma Atkinson, Ruth Langsford, Davood Ghadami and Mollie King. The final four celebs will be announced on Monday aka Strictly’s Mega Monday!